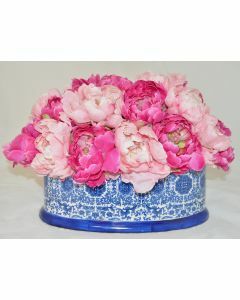 This charming lifelike faux floral arrangement has coral roses in a blue porcelain container. Measures 7”H x 10”W x 10”D. It’s perfect because there is no maintenance required! 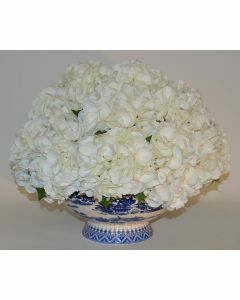 This item is custom made to order and goes into production once your order is received.